I think documenting my gratitude in a list will make me appreciate what I have, and also will be a great thing to look back to. I hope to do this on a monthly basis, so hopefully you will be seeing a lot more of what I am thankful for! 1) My Baby Boy and his good health. 2) An easy teething process. Baby Z only had loose motion, and got a tad cranky. The next day he had three new teeth! HOW?! 3) Mr Z’s patience. The husband is always so patient with me, even when I give him death stares at Suhoor time for making too much noise (or for breathing too loudly)! 4) For living through another Ramadan. Alhumdulillah Alhumdulillah Alhumdulillah! 5) For my brother’s visit from UK, and having him stay with us for 2 months. Yipee! 6) For still being able to quarrel with my brother as if we were aged six. Sibling love-hate relationships never change! 7) For our stay at Al Hamra Palace Beach Resort. To be able to afford such luxury and have such a great family time with my two favourite boys. 9) For having such a lovely spread of food at Iftar time. Each day. Every day. 10) For having rant sessions with my friends back in UK over whatsapp. So there you go. 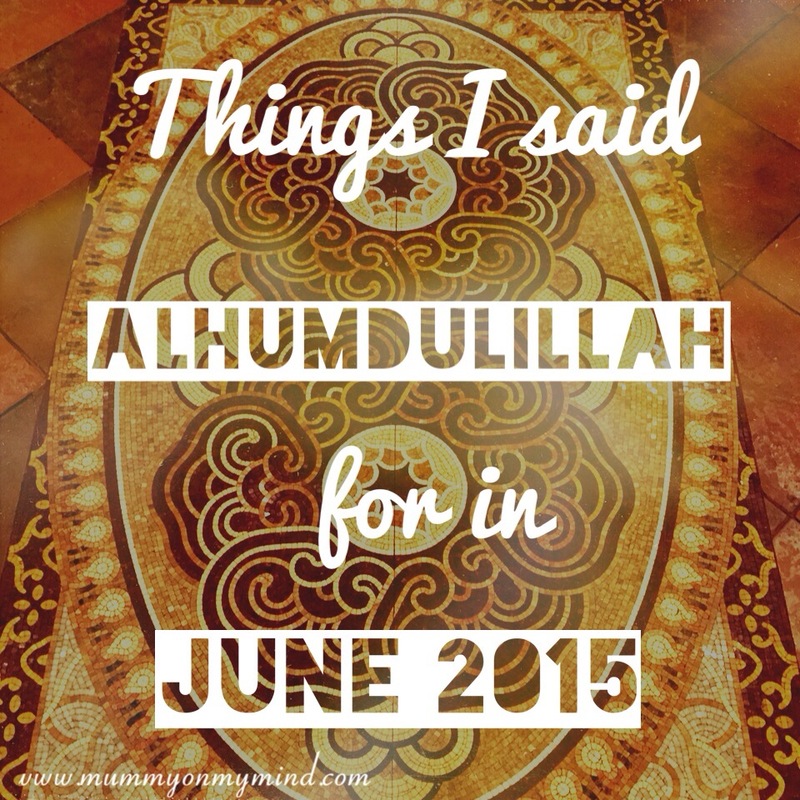 These are just ten of the many times I uttered the words Alhumdulillah last month. What are you thankful for? Feel free to share your moments in the comments section below!
? Thank You for reading! What a beautiful thing to say and what a beautiful post. Thank you. I think its important to be thankful for all the little things in life, isn’t it?